Fanai Lalthansanga joined Chillibreeze in the year 2010. He is from Churachandpur, Manipur, a city known for its natural beauty. An artist, hard worker, quick learner, ready to be coached, has a ‘never say die’ attitude are some of the ways one can describe Fanai. – When Chillibreeze was looking for a new logo, Fanai was given the responsibility, and he came out with a great design. Not just the design, but he also tied it with Chillibreeze values. – When Chillibreeze decided to launch a new website on the 0365 platform, Fanai played an important role in adding his magic touch to many of the visual elements. 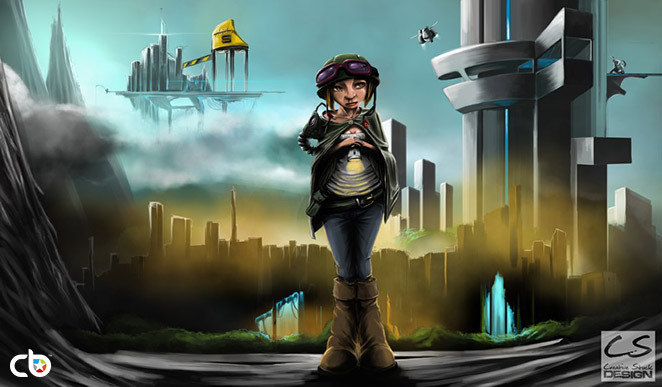 Many of the creative aspects that we see on our website showcase his sense of color and creativity. Of course, it, but Fanai played an important role. – Fanai works on customer projects too and his work always ‘wows’ them. Many customers tend to send repeat orders for his work! – Fanai thinks outside the box and is a keen learner. The photo was taken on the first day of The National School Games – 2006 in Delhi at Chhatrasal Stadium. – He is athletic and is good at basketball. In fact, when in high school, he captained his high school team, and the team won a few trophies. He represented his State and was a member of the Manipur Basketball team that participated in the Indian national level games in New Delhi in the year 2006. 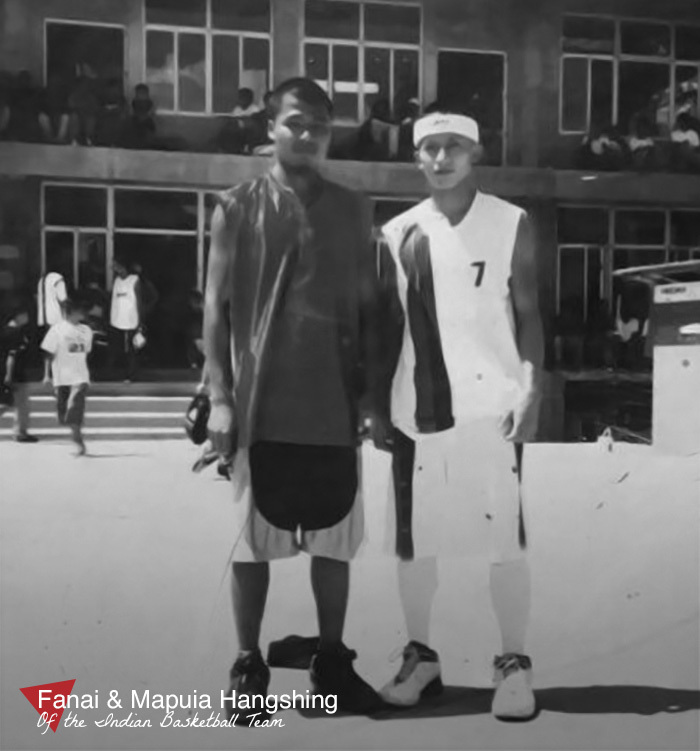 Fanai and his friend Mapuia Hangshing, accomplished Basketball players from Mizoram, who played for the Indian Basketball team. “Fanai’s contribution to Chillibreeze and its customers is immense. He does everything with passion and may be considered an above average “zealot,” given that he hounds his projects till it’s done to his satisfaction. He is never content with doing things in half measures and is on the way to creating a very good example of this very same attribute among his team members”. Fanai did not come to Chillibreeze armed with degrees and years of work experience. He came with a passion, was creative, knew HTML, had a strong will to succeed, was open to being coached and was ready to work hard. He is now a trusted team member of Chillibreeze! Chillibreeze is always on the lookout to recruit people like Fanai as trainees. What makes Fanai the person he is? 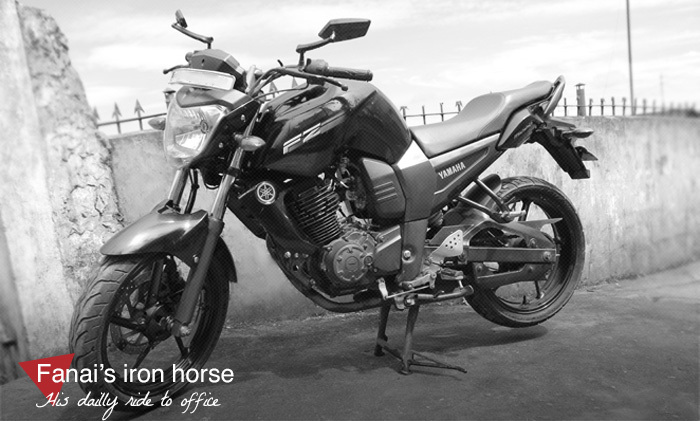 What brought him to Shillong and Chillibreeze? How has Chillibreeze impacted him and his family? I was born and brought up in Churachandpur, the second biggest city in Manipur, the biggest being its capital Imphal. I have two older brothers and one younger sister. I lost a sister in 2001 to a brain tumor. She was just 11 years old at that time. My father now teaches in the district council school in a remote village. Unfortunately, from 2012, he has been unwell and has needed repeat treatments, including surgery. He put us through good Catholic schools and I completed my 12th grade from Rayburn Higher Secondary school, Churchandpur. I thank my father for not pushing me to the directions he favored. He never pushed any of us to go in any one direction. He let me chose my path. He encouraged me to do what I wanted to do, and this motivated me. Similarly, my Mom always supported and encouraged me in anything I did and continues to. Without my mother, I won’t have had the courage to pass all the obstacles I have been through in my life. Even today I look to her for guidance. Teenage years were hard for me. But the support from my family pulled me through. I have always been into arts and drawings. I never really had big dreams! When my teacher asked me what I wanted to become, I would say an engineer. Only two or three of us in our class would say engineer with a tiny idea or knowledge of what being an engineer meant! I would pause and say “Engineer” because I liked how the word sounded. I had a rude shock when I did poorly in grade 8, as I had been playful the whole year. I learned a lesson the hard way, and it made me stronger. I had to change school, and the very next year, in grade 9, I topped the class! From then I started to think about what I would like to become. The choice was between a sports person and an artist. I played basketball. In fact, I continue to play when I get the time. 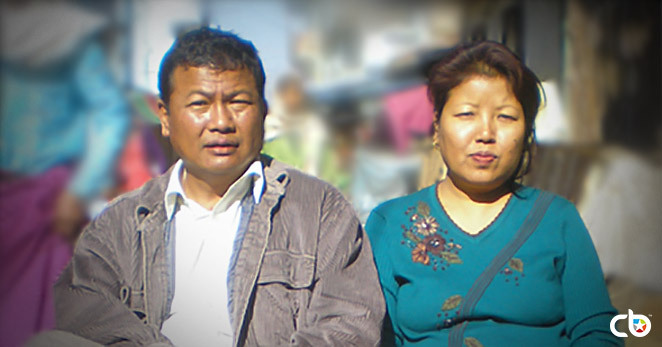 I represented Manipur in Delhi in 2006 at the National level. That experience was memorable. We went to Delhi and stayed there for two weeks. We did not win, but gained a lot of experience and exposure! Soon after finishing my higher secondary school, I got married to Jennifer Lalruatkimi. She was also born and brought up in Manipur and had moved to Mizoram in the year 2004. Our daughter Capri was born in 2008. So, here I was, married at a young age, and I needed a steady job. But, opportunities in Manipur were limited. Except for Government Jobs, there were very few others. I came to Shillong as my uncle lives here. He is a Pastor and does a lot of work in preaching Bible to people in different languages of the region. I joined him, to help him in his library. I worked with him for one year before I found Chillibreeze. It is thanks to my wife Jennifer that I found Chillibreeze! She was working in a BPO unit which was in the Software Technology Parks of India, the same building where Chillibreeze is. She told me about Chillibreeze. I joined the BPO too and worked there for 4 months before I applied to Chillibreeze. I met some people working in Chillibreeze and seeing the positive work culture; I was hoping that I would get a chance to work there too! I learned HTML coding before I applied to Chillibreeze, as I knew that this skill would be useful. I applied online and was called for an interview by the HR Manager—Teddy. I had two rounds of interviews. The second interview was conducted by the founder Directors Ralph and Joanna themselves. I was so fortunate to be selected! I have changed a lot after joining Chillibreeze. So much has changed in my family too. Now that I have a steady job, my wife stays at home and takes care of our daughter and our house. It is very easy to list the changes I see in myself, as they are very obvious to me and others! – I see a big difference in this area, better language skills—though I studied in an English medium school, I did not have enough practice of speaking in English. Now I can communicate with confidence. – I have my manager Raj to thank for this. He coached me. Before he came, I had a hard time organizing my day. I am now better organized at home too! – I learned what it means to be professional. – Chillibreeze expects quality in both internal work and customer work, and I understand and deliver with confidence. Our CEO Ralph Budelman too coaches us, through his emails or directly through PPTs and interactions and this inspires all of us. – The way I talk to friends, the way I talk to family, everything has changed. If I had stayed in Manipur, I could have become a good basketball player, but I would not have the kind of quality of life that I now lead. It gives me the confidence to stand in front of people, to speak in front of people. – I notice that family and friends respect me after I got this job! The regular salary helps me and helps my family. I never thought I would be able to buy a bike with my own money, but I did, thanks to the job I have! I ride this to the office every day. Drawing comes naturally to me, and it is something I enjoy. I work for long hours in the office, but I somehow find time at home to doodle. Whatever I do, I hope I continue to make time to draw and use my creativity, as it is something that energizes me. The artist in me will always be alive. 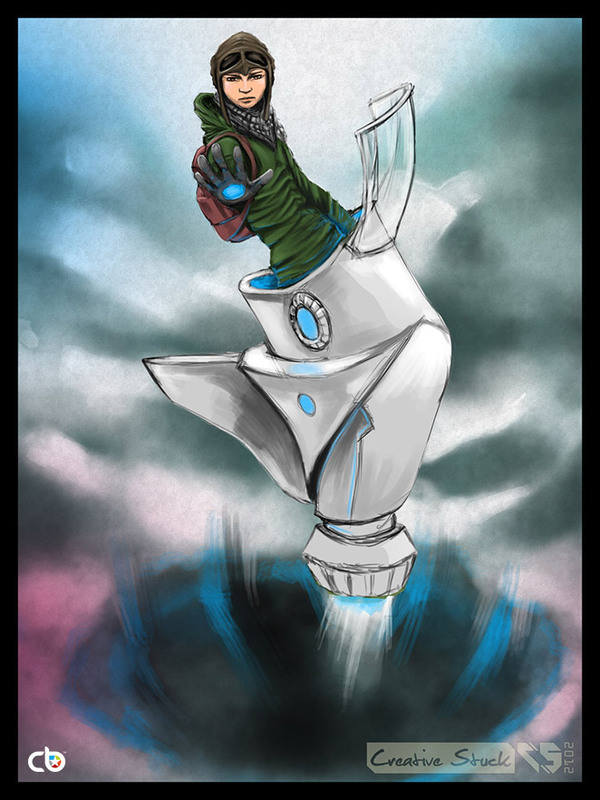 Here are a few of my artworks, entirely from my imagination and done during my free time. I want to continue to enjoy the job I do. I look forward to rising in the ranks, to get promoted. If our company has to grow, we need to attract and retain good people and grow our team. I would like to be able to manage a team, grow their skills, just as I have learned on the job. That will be very satisfying for me. “Chillibreeze is very open to people like me, who are eager to learn more. I am learning more than just work culture and skills, but also values and the principles of life, which are very useful to my family and me in our everyday life.” Be it in a classroom or public places; I often am in my world. Probably because I am highly imaginative and millions of thoughts spin around in my head!